This low carb bread is free of all nuts too!! 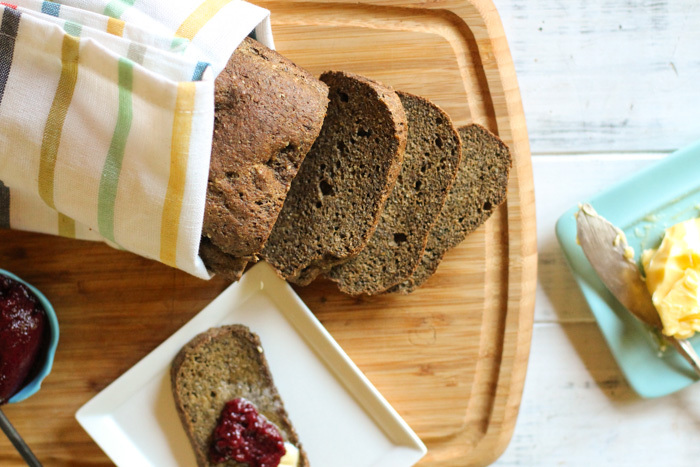 By using a combination of seeds and coconut flour, you can create a fiberlicious loaf of bread for all your bready keto creations! My good friend Cassidy of Cassidy’s Craveable Creations has come out with her very first cookbook…and it’s a doozy! A cookbook loaded with 30 keto bread options, because let’s be honest…you can still crave something bread like to slather some nut butter on or make an egg sandwich, even when you are low carb! To finally lose my excess baby weight and get the scale going back in the right direction (after years of trying to do ‘everything’ right) I finally stumbled upon a version of the keto diet that finally worked! Cassidy turned to keto for a whole different reason: an experiment to see if they could get their son off of his seizure medicines. She quickly realized that she needed to have some options for hungry and growing kids and started creating these recipes for her family to enjoy. 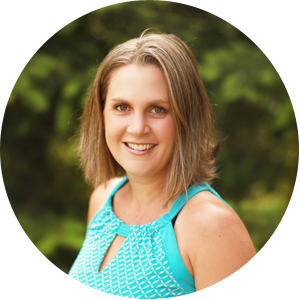 A queen of creating healthy recipes for her family, you can read about Cassidy’s journey of real food and why today they eat no gluten or dairy. 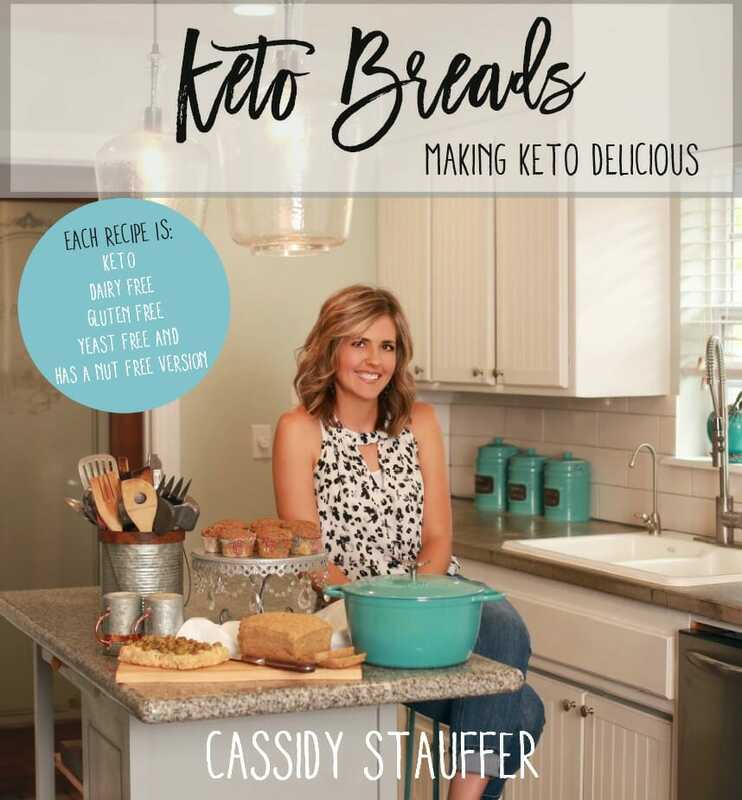 A convenient and easy to read format, Cassidy has laid out over 30 different keto bread options for you and yours. I trust Cassidy and love her recipes…we have made many on her site over the years and they never disappoint. I think maybe we’re related in the gene pool somewhere, as we always seem to create things the other loves…great minds, and similar taste buds too! As an added bonus, you can choose a paper or ebook as you prefer, choose your own adventure! You can get your own copy of the Keto Breads Cookbook here. 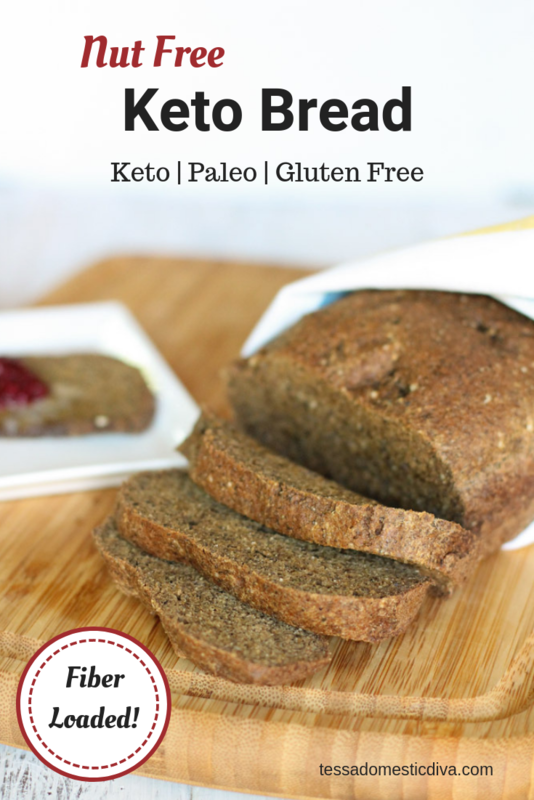 I had the privilege of contributing this nut free keto bread to the cookbook, and I can now share it with you! It’s important your seeds are fresh and not rancid. 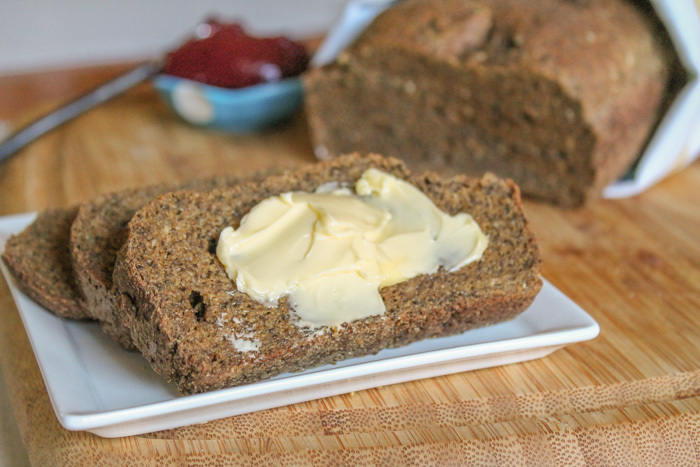 As a major player in this nut free keto bread, if your seeds are rancid (the fat in them has gone bad), it will not taste bueno….so use fresh! I like to keep mine in the freezer for storage to keep them fresh longer. As an added bonus, the cold seeds don’t clump as quickly when you blitz them into a powder! 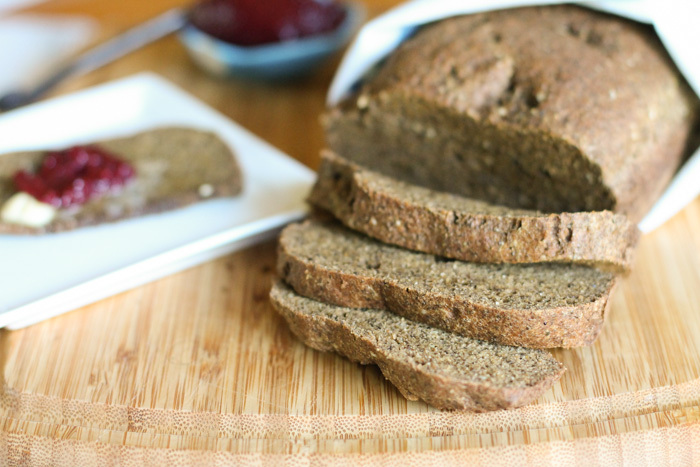 If you love brown bread, and are willing to add another gram of carbs to each slice, you can add a tablespoon of molasses to the liquid ingredients…a lovely flavor!! Making A Traditional Keto Sourdough Bread? Although I have not tested it yet, I am eager to try this as a sourdough!! Beyond tasting good, the seeds get soaked for easier/better digestion!! I plan on replacing some (1/2 cup) of the water called for in the initial recipe (warm, not hot so as not to kill beneficial bacteria) with a yogurt or kefir (dairy free or otherwise) then proceeding to make the dough. Then I will simply let it set for 4 hours or so at room temperature, or even longer after that in the fridge and bake as directed! For this bread recipe, I used my favorite sturdy bread pan. I ground the seeds up with my beloved Blendtec, however, you could also use a coffee grinder or other high powered blender! Combine the three seeds in a high powered blender and blend to fine powder. Don't over-blend, or it will start to clump. Pour the fine seed meals into the bowl of a mixer and combine with the remaining dry ingredients, mixing to combine. Using a spatula, scrape the dough into the prepared loaf pan, gently forming into a mounded loaf. Bake in a preheated oven for 45-55 minutes, until just set on top. Let cool completely for best texture and slicing....it will be a bit gooey from the psyllium when still hot. Can be stored in airtight container on the counter for a few days, or in the fridge for about a week! I just had to share this with you. I’ve tried a couple of very unsuccessful cracker recipes lately so today I decided to use your bread recipe to make crackers and they are amazing. I put the dough on a 16 x 10 cookie sheet lined with parchment paper, it was about 1/4″ thick and cooked it at 350 for about 15 mins. Then cut it while warm into 1″ squares and split/cut each square in half to form 2 square. I broiled them with the inside part up for a few minutes to toast them. They held together perfectly, a bit labour intensive but worth every minute. Creamy Goat Cheese here I come! Such a fabulous idea Elaine!!! I’ll have to try that out!! Made this last night, it was quick and simple to make and turned out perfectly. I had it for breakfast toasted and it was delicious, one slice was enough to satisfy. It still has a nutty flavour without the nuts thanks to the hemp seeds. Not being able to eat grains or nuts is made much more bearable with recipes like this. Thank you. I haven’t tried hemp hearts in bread before. It looks fantastic! I am making this! I love the look of this dense loaf. All about making my own GF breads too. Is that serving size 1 slice and how big of a slice? yes, one slice, and imagine cutting a loaf pan into 12 equal slices for an idea to size! Love that this is keto and nut free! It looks like it slices perfectly too and is nice and firm on the outside – perfect! 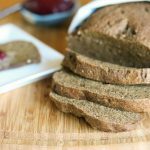 I love this this is a nut free bread- looks simple and so many healthy ingredients! I used a size 8×4″ bread pan it got great height. It was much softer than the almond flour recipe you have. ( I made one of each). It was not as eggy in smell and taste as the almond flour bread either. Yes, this has a lovely soft texture from all the gelatinous flax, chia, and psyllium!! Thanks Maria! Yay Heidi!! SO glad you love it…I’ve been making it regularly too, it makes for a yummy breakfast to look forward to for the whole week for me! This bread looks great, and sounds so versatile! This is delicious! I tried it with butter and jam. Yum! I usually don’t like keto breads, all of them are too eggy. This one is not!!! Really yummi with some keto raspberry jam! This recipe turned out great! I made this recipe with 2 minor changes. I didn’t have any psyllium powder, so I used 1 Tbsp. of psyllium husk (though I’m not sure what the proper conversion would be) then I used 1/2 cup of yogurt for 1/2 cup of water—-but I didn’t wait to let it acquire a “sourdough” type result. The bread has a wonderful taste and texture. I made it in a 9.5 X 4.5 loaf pan, and it yielded a bread that was about 1.5 inches tall, so while it worked well for toast I think for sandwiches I might want to try a smaller pan to get a taller bread (more sandwich sized). An excellent recipe that I will definitely be making again! Awesome Nancy, thanks for sharing your tweaks!! Psyllium powder is about double the binding capacity of the husks…so try the husks doubled next time (like 1/4 cup for recipe). So glad you enjoyed it!! Making another loaf for myself this week…I’ll try a yogurt version like you did!! This is such a cool recipe. Every now I do long for a bread and this would be right up my street, thank you! Wow what a great idea, I really limit any kind of paleo/keto types of bread because they always are high in nuts, so I can’t wait to try this out! Just printed this recipe and will make it today as I happen to have all the ingredients on hand. Cant wait, will keep you posted! SO many healthy ingredients. I can’t wait to try this one! I have been thinking about trying psyllium powder now I have a recipe that I can follow. This is wonderful! Ooo I’d love to try this! I was just thinking about how I would love to toast something like bread in the morning for an egg sandwich! This bread looks so fluffy and delicious, and I can’t believe it’s keto! I always want to make my own bread, and I think I need to give this one a try. Her cookbook looks great! The bread looks like it slices so well, has the perfect texture and would be perfect for toasting or sandwiches. Thanks fo much for the nice review!